The Clash Royal April update for 2019 is about to happen — and has fans on tenterhooks. 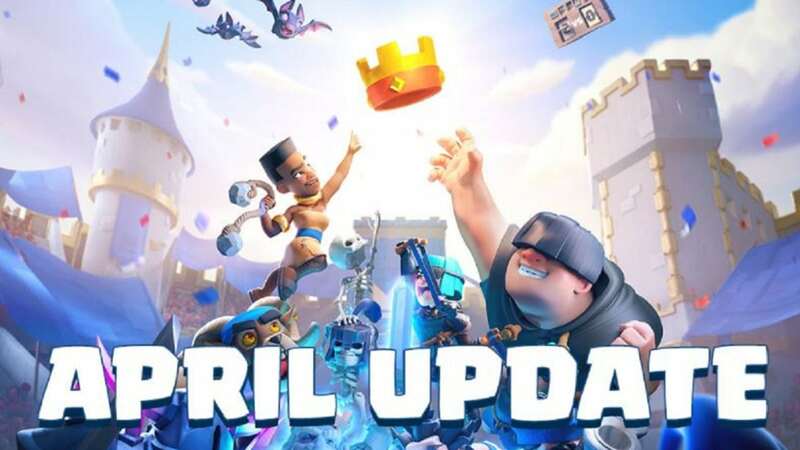 It was initially thought the update would happen on Sunday, April 14, following a Twitter post from the game’s official account, however Supercell later clarified through a new message that this wasn’t correct. REUPLOAD – the original video said the update was coming today. It isn't! A new message has just been posted, however, informing fans that they were going into maintenance to launch the April update and that it might take “a bit longer than usual”. We're going into maintenance to launch the April Update! This may take a bit longer than usual. The exact timeframe of the update has not yet been confirmed but fans can rest assured that it will come soon. We will update you once the new release date is announced. So stay tuned. Supercell confirmed through the new video preview (see above and below) that new unique game modes and the Trophy Road expansion will be added to the April Update. A new progression system for Ladder (1v1) is also being added. The Trophy Road lets players gain access to new rewards as they progress through the Ladder Play. There will also be new game modes with unique rules, such as Elixir Rush and Dragon Hunt. Activate Chest Speed Up Boosts for 24 hours when reaching a new Arena. New rewards every Season! At the end of each League Season, alongside the Trophy reset, you will also reset your Trophy Road progress from 4000+. View your friends’ progress! Enjoy some healthy competition with your friends & Clan members. CRL 20 Win profile badges will also be handed out when the update is released.